This week in our practice we had the pleasure of having not one but two visiting physicians in our clinic. Dr. Conradin Von Albertini of Zurich come to visit our office as well as Dr. Charlotte Weile of Denmark. This was Dr. Albertini’s second time visiting Dr. Cole’s Clinic here in the Atlanta area. Dr. Albertini shared with us that his experience was fantastic and it was amazing to see the flow of surgery in the operating room. Grafts were being harvested, cut and placed simultaneously and surgery proceeded very efficiently and like clockwork. 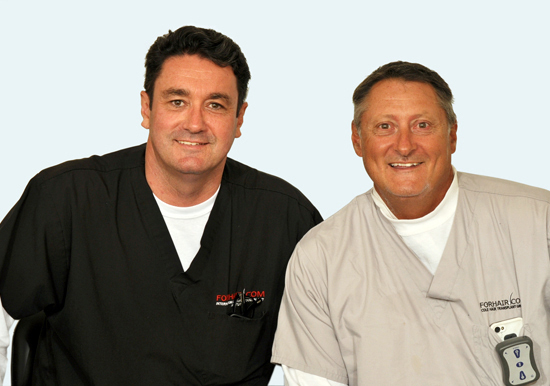 Dr. Albertini started doing hair transplantation 8 years ago in 2005. He began doing FUE hair transplant procedures in 2009. Since Dr. Albertini started using the PCID in October 2012 he says, “It has changed my life in the operating room compared to other devices,” that he used prior to using Dr. Cole’s mechanical extraction device. Now over 95% of the hair transplants that he performs are FUE. He also shared with us that the serrated punches are the sharpest, and surgery is much smoother and less fatiguing than it was before using the PCID. His graft quality is higher and he has had a much lower transection rate. He has also doubled the amount of quality grafts he is harvesting and averages over 2000 quality grafts per session since adding the PCID to his FUE practice. Dr. Albertini has been able to decrease the size of the punch he is using and still produce great quality grafts since the addition of the PCID to his FUE practice. Dr. Albertini says that he learns more every time he visits Dr. Cole and the staff is always great. We are looking forward to the next time he is able to visit. This was Dr. Weile's first time visiting our clinic. Dr. Weile has been a plastic surgeon in Denmark for 6 years and prior to that was a general surgeon for 2 years. She works in both of the public and private sectors in Denmark. After performing her due diligence and research, she read literature about the FUE technique of hair transplant surgery. She also discovered Dr. Cole and his practice and felt that his technique was one that she would like to bring to her practice and offer to her patients. She feels that FUE hair transplantation is the best reconstructive hair transplant method and will be the only technique of hair transplant that she will be offering to her patients. Dr. Weile plans on honing these skills and being able to help those who need reconstructive scar grafting and revision as well as hair transplantation. 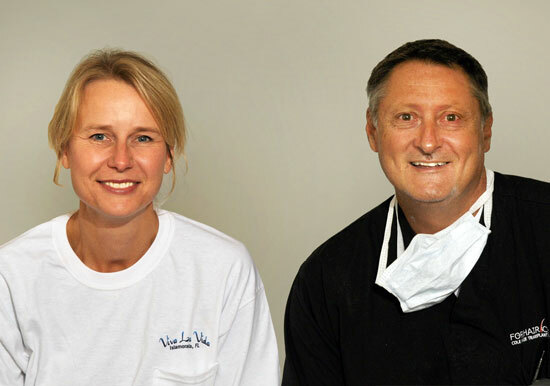 When it was time for Dr. Weile to depart, she shared with us that she could not wait to get back to Denmark and perform her first FUE hair transplant surgery. She is anxious to provide us with feedback and we are eagerly waiting to hear about her successes in hair transplantation.